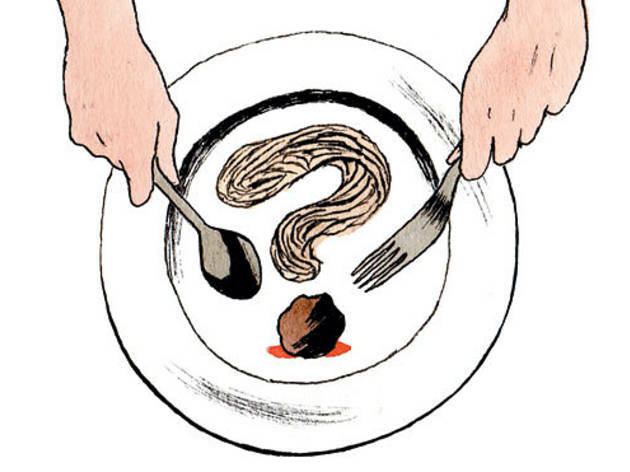 TOC's dining editors answer your eating and drinking questions. Visitors from Israel we’re not so concerned about. What, are they going to melt without tabouli? Israeli expats living in Chicago, on the other hand, have it tough. One we consulted, Dubi Kaufmann, has given up on most Israeli spots in Rogers Park (“overpriced,” he says). For kibbeh, he recommends Middle East Bakery & Grocery (1512 W Foster Ave, 773-561-2224); for knafeh, Nazareth Sweets (4638 N Kedzie Ave, 773-463-2457). As for restaurants, there’s a place where the service “is not exceptional, but they serve an assortment of small salads with the meal.” He’s talking about Baba Pita (1032 W Lake St, 312-243-3439), and he forgot to mention that the atmosphere is a little lackluster. Not to go all Paul Krugman on you, but let’s talk some economics: If a restaurant has the ability to keep you captive for a two-hour wait, during which time you’ll potentially consume two or maybe even three $8 cocktails, said restaurant might not be so eager to solicit your phone number, which might encourage you to run free. (Or, more likely, to run to El Cid.) That said, the friendly host at L&E says that the restaurant gladly takes down numbers. So next time a restaurant doesn’t ask, just drop your digits. Sinha (2018 W Adams St, 312-491-8200). Otherwise: Brazil. Ask us a question! 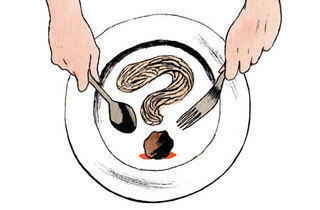 If we answer it, we’ll send you a cookbook. E-mail eatoutdrinkup@timeoutchicago.com.